Bedrooms Plus Sliding Wardrobe Doors and Fittings: Why supply your own Kitchen and Bedroom cabinet handles? Why supply your own Kitchen and Bedroom cabinet handles? Cabinet furniture handles are easily overlooked when choosing your home furniture. However, they can make a massive difference to the look and feel of your design. Did you know that when you are buying a Kitchen, Bedroom or Bathroom from larger nationwide suppliers, they will often have up to £25 per handle worked in the cost of your Kitchen or Bedroom? Just think how much money you can save by supplying your own handles. The average kitchen will have at least 15 handles which could mean you are paying £375 or more just for standard handles as the nicer handles will be offered at a premium! We have worked with manufacturers and designers all over the world to create an exclusive range of handles that are not only unique to Bedrooms Plus, but they are also much more affordable and made from the highest quality materials in the world. All of our cabinet handles are part of our M4TEC® brand of furniture hardware. All of our products are strictly tested for quality and durability. Normally each piece of furniture hardware that we add to our range will go through a minimum of 3 months testing period where they will be rigorously inspected to ensure they are designed to last a long time and maintain their perfect appearance for years to come. Our handle range can be supplied for new kitchens, bedrooms and bathrooms. They can also be used to simply swap out the handles that you have and bring your furniture back to life with a new element. We always list the centre hole sizes which is the length from screw to screw so this is very easy to see if our handles will fit your existing screw holes. We have handles to suit almost every size. Bedrooms Plus have been manufacturing furniture since 1980 so we only offer handles that meet the high standards that we desire to finish off our custom furniture. Many of our handles have a design that will not be found in any stores, they are very unique and can really stand out on your furniture. 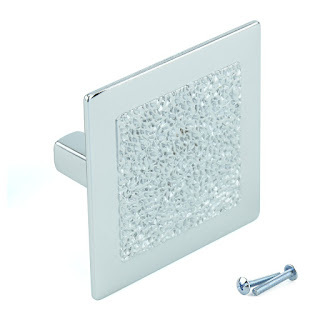 We have handles that are individually cut with genuine Swarovski Crystals, handles that are hand filled with glitter and sealed with a clear resin and hundreds of other designs from traditional to ultra modern. 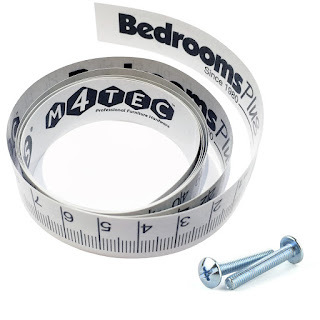 Everybody that orders a handle from Bedrooms Plus will receive a free measuring tape which can be very handy when it comes to installation of the handles. Every handle in our range is available for next day UK delivery and express worldwide delivery. The fixing bolts will also be supplied with every order and our expert team are here to help you with any questions on 01698 209888. You can also message the team by clicking here. Want to place your order by phone? No problem, call our sales team with the 2 digit handle code (eg: D4) from our website and they will be happy to process your order for immediate dispatch. 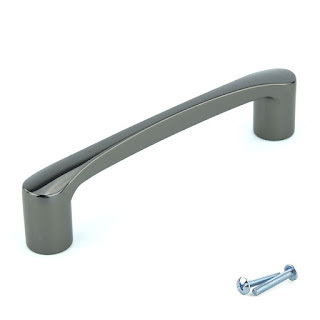 Want to know more about our unique cabinet handle collection and browse the range? Click here to visit our website today and click the Contact Us button at the bottom of the website if you have any questions at all.